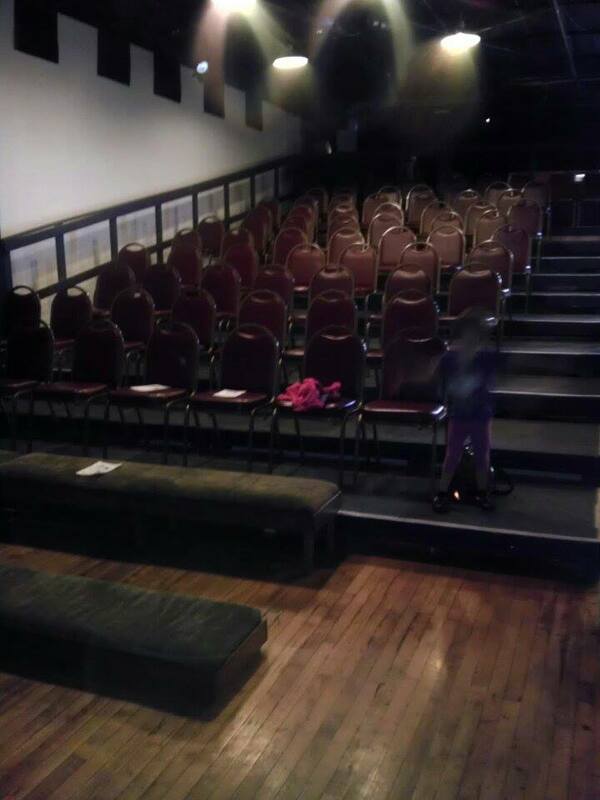 Smallest Theater In Minneapolis? Maybe…But Also One of the Best! I love taking my child to the theatre and I’m pretty sure she likes it to. However, the major children’s theater in Minneapolis/St. Paul, despite its amazing performances, can be pretty pricey. Tonight I discovered a new, community-based theatre that I fell in love with. The theater is the Open Eye Figure Theater and it didn’t cost an arm and a leg. The show we saw was Milly and Tillie, and it truly was silly. I paid full price for our tickets and I believe the total was around $15.00 for both of us. So, given the price and the extras you’ll soon find out about, I was awestruck at the quality of the performance and how the whole experience was truly tailored to children, while keeping adults engaged as well. The whole theatre seats 90 people. It is so cute and warm and inviting! Notice the benches in the front. They are about six feet from the stage so the little ones can really get in on the action. Tickets are available on-line or in person on the night of the show. They also had a “pay what you can” option that you could select on-line. Furthermore, they have a “no one will be turned away due to an inability to pay” so just show up for the show you want to see and pay what you can. They are bound to have empty seats. The theatre is just east of 35W between Franklin and Lake Streets. It looks like a renovated warehouse. From the outside you wouldn’t even know there was a theatre if it weren’t for the chalk drawings on the sidewalk outside. The inside is so warm and cozy and quaint…Just a great feel to it. This particular performance used both stage actresses, puppets and silhouettes or shadow puppets. The pace was good and the energy amazing. Child and adults alike were entertained for the duration. The theater was only about a two-thirds full and there was plenty of seating available upfront on the low couch-like pews that are meant for the younger set. If you’re interested in showing up for a performance at the last minute, I would say go for it! Otherwise you can pre-order your tickets on line and just give them your name when you arrive. They have a printed out list of names. Nothing fancy. No frills. 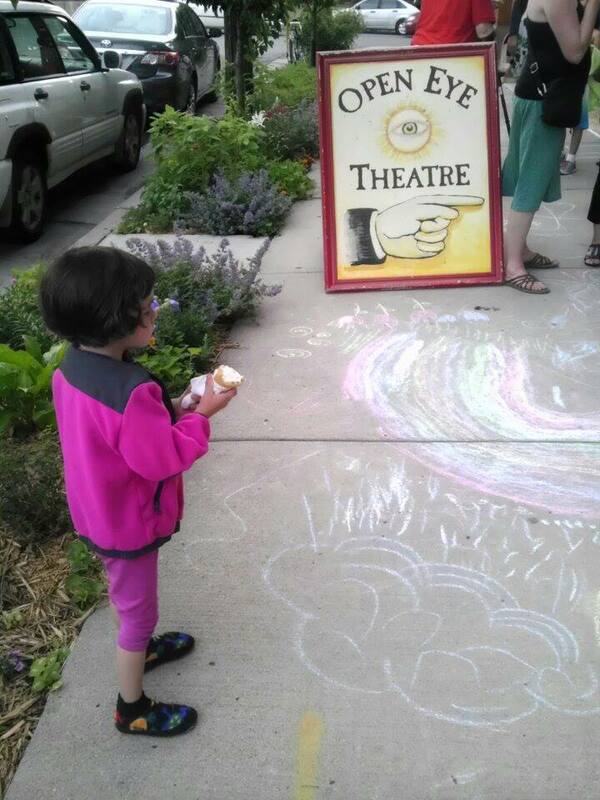 The best two things about the Open Eye Figure Theatre (besides the price and the quality) are the sidewalk chalk that children can use before and after the performances and the free ice cream cones that they handed out in the lobby following the show. The show was only 45 minutes long so no intermission was needed. We had a choice of butter brickle or strawberry ice cream in a cake cone. Many patrons hung outside after the show, chatting and socializing. While we were waiting for the performance to start a little six year old Latina girl came in and plopped herself down in the front row. One of the three staff came over and checked in with her to see if she was by herself. When she said yes, the staff person said, “That’s okay. That’s cool. Just checking.” I introduced my daughter to her and they became fast friends, getting water together, sitting next to each other on the bench, holding hands while getting ice cream. The little girl said she lived in the neighborhood, which is economically and socially challenged. It was so nice to see that she had a place to go on a Saturday night that was safe and free. During the course of the show I learned that she had seen the performance before. She consoled my four year old during the thunderstorm scene and when Tillie was dressed like a shark she told my daughter that the shark wasn’t real, that is was actually one of the sisters. I would say this is truly an under-explored community gem…a great place for families, kids and friends, and a community service. Bringing art and drama to low income families. 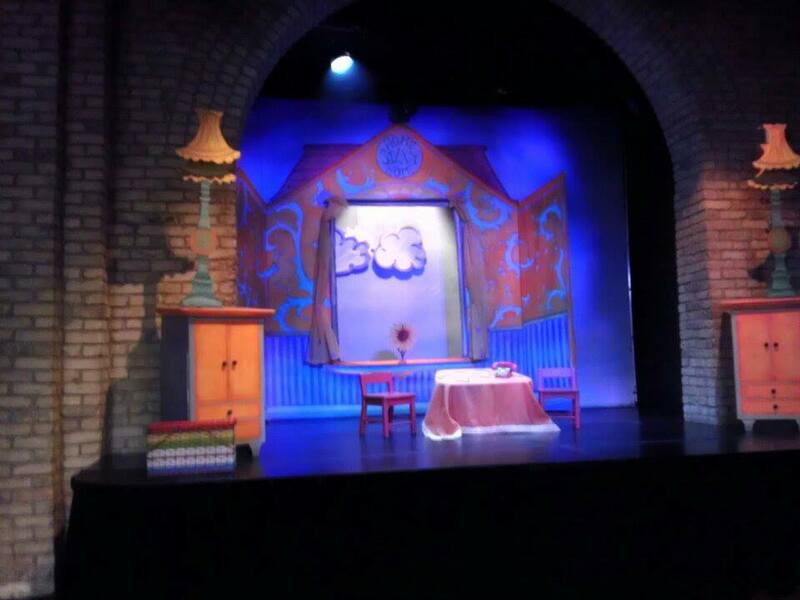 If you have a chance, take your family to see a performance at the Open Eye Theatre. You won’t regret it and your wallet and your spirit won’t either.